The famous tzaddik of Jerusalem, Rav Aryeh Levin, of blessed memory, once accompanied his wife to the doctor. When the doctor asked the couple what was the reason for their visit, Reb Aryeh answered, "My wife’s foot hurts us.” Reb Aryeh truly felt the pain of his wife’s foot. This charming anecdote sums up for us what we are striving for in a marriage. Our goal is v’hayu l’vasar echad, to fulfill G-d’s command to Adam that man and wife should be as one flesh (Bereishis 2:24). They should realize a complete merging of their individuality, desires, and feelings. Rabbi Aharon Kotler, of blessed memory, the rosh yeshivah and founder of the Lakewood Yeshiva, had a direct tradition from the Vilna Gaon that the purpose of marriage is to bring about ichud beineihem v’ribbui hakarah v’ha’archah, a unity between the couple and a bounty of respect and appreciation. The Sefer HaChinuch (mitzvah 582) gives us an insight into the mitzvah given to the husband of mesameach ishto b’shanah rishonah, of giving happiness to one’s wife in the first year of marriage. According to Sefer HaChinuch, the purpose of the mitzvah is kedei l’hargil hateva imah u’lehadbik haratzon etzlah, to align one’s personality and nature with his wife’s and to forge together their desires and goals. We see that this is not a relationship in which we should simply learn how to peacefully coexist. 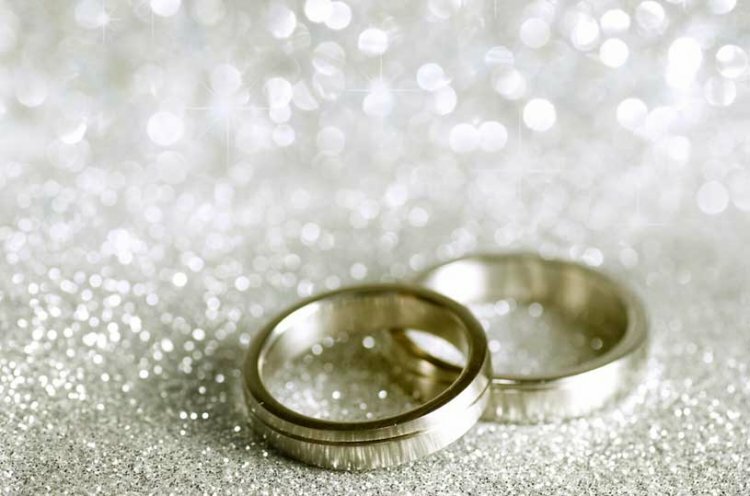 The Torah’s expectations of the marriage bond are very much higher. There are several places where our Sages give examples of a husband’s obligations to his wife. Our Sages praise Palti ben Layish (Sanhedrin 19b, 20a): "What did he do? He stuck a sword between himself and Michal bas Shaul, whom the king had given to him for a wife, so they wouldn’t come to sin [since in Palti’s opinion the marriage was not valid].” In the end, when he returned Michal to King David, it is written in the Prophets, “And ’ishah — her husband’ [Palti] went with her.” The Gemara asks: it seems from the word ishah, "her husband,” that they lived as husband and wife, but we learn that he stuck a sword between them to ensure this wouldn’t come about. The Gemara answers that they did not live as husband and wife but rather Palti behaved with her as a husband should. What did the man do to be defined as her husband? Rashi explains that he was megadlah umechavivah, he nurtured her and behaved fondly towards her. From here we learn that it is the role of the Jewish husband to nurture and behave fondly toward his wife. There is another example given by our Sages in Sotah (12a) where it says that Moshe Rabbeinu’s sister, Miriam, was called Azuvah because she was “left” (azvuha) by all the Jewish boys who did not want to marry her because of her illness. She was also called yerios, sheet, because her face was like a sheet, with an unhealthy pallor. Her husband, Kalev, married her for the sake of Heaven. He was honored by the addition of the name Avi, “my father,” because he became like a father to Miriam. Rashi explains that: he busied himself getting her medicines and foods which sick people need. Our Sages continue that Miriam recovered from her illness and her face became beautifully youthful once again. It was Kalev who built her up; his added name Avi was given to him as a sign of esteem and tribute, reflecting the attitude of protective fatherliness which he showed towards his wife. There is a well-known story told about Rosh Yeshivas Kol Torah, Rav Shlomo Zalman Auerbach, of blessed memory, who was also one of the leading rabbis of our generation. There is a custom at funerals that, at the time of burial, the relatives of the departed stand before the casket and ask for forgiveness. At his wife’s funeral, R. Shlomo Zalman was heard to say: "I have no need to beg your forgiveness. I never behaved towards you even in one movement, one word, not according to the Shulchan Aruch (Code of Iewish Law).” This story proves that, even today, it is possible to meet high standards in married life. We see that even in a generation like ours, replete with marital problems, one can achieve perfect harmony between the spouses in a marriage.